There is nothing cuter than a bromance except a well dressed bromance. The Houston Rockets cutest duo, Harden and Tucker, strut strong style game before hitting the court against OKC. 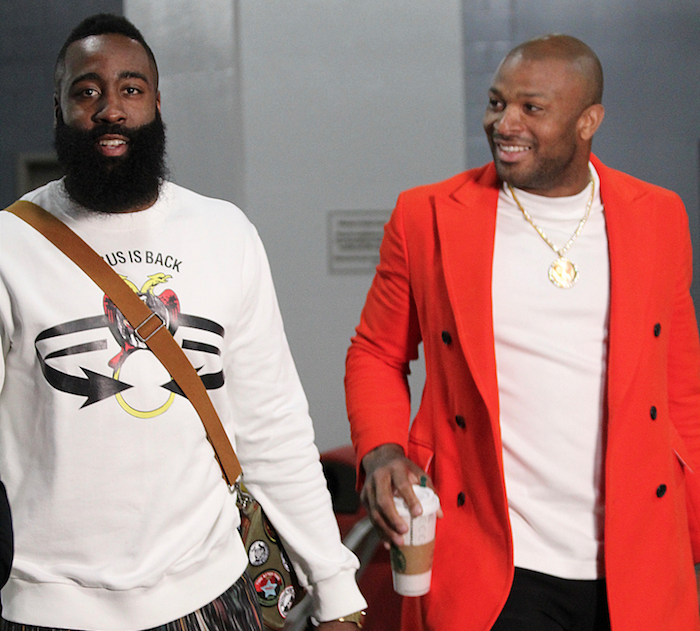 James Harden wearing Givenchy jesus is back sweater and Saint Laurent duffle bag at Toyota Center.